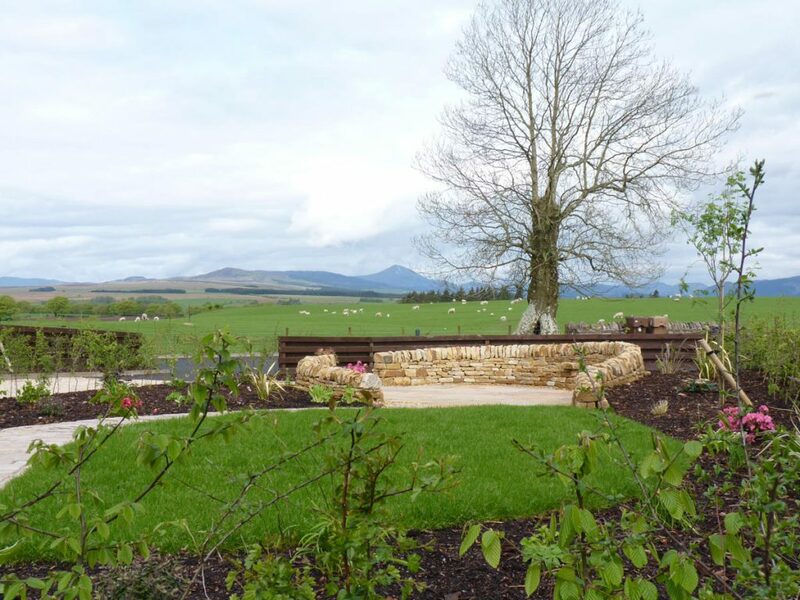 This garden is in a stunning setting in rural Stirlingshire. 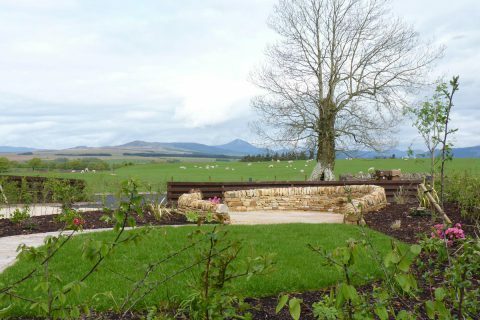 There are beautiful views beyond but the existing garden was simply some turf and there was nowhere to sit, relax and enjoy the surrounding landscape. 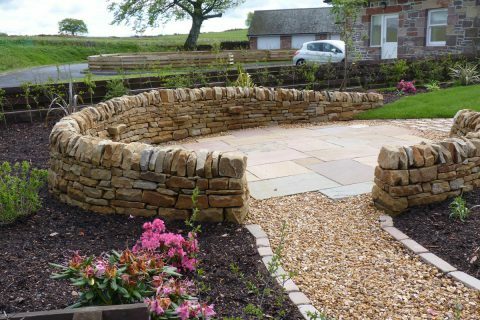 "From a relatively small patch of rough grass - to an interesting and beautiful assemblage of paths, plants and hedging - including sympathetic use of natural stone to create a novel seating area - what a delight." 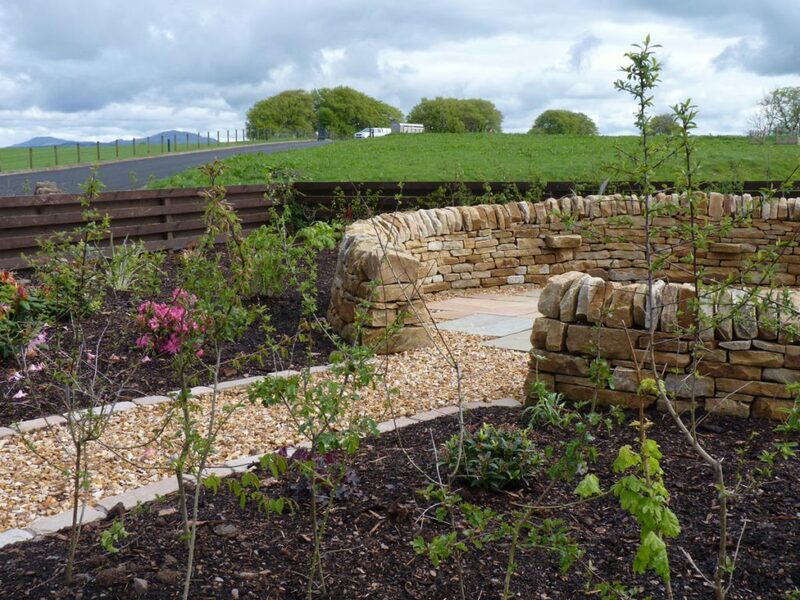 It was important to work sympathetically with the landscape beyond, ensuring the view was maximised and appropriate materials were used. Creating some shelter from the exposed winds was also a consideration. 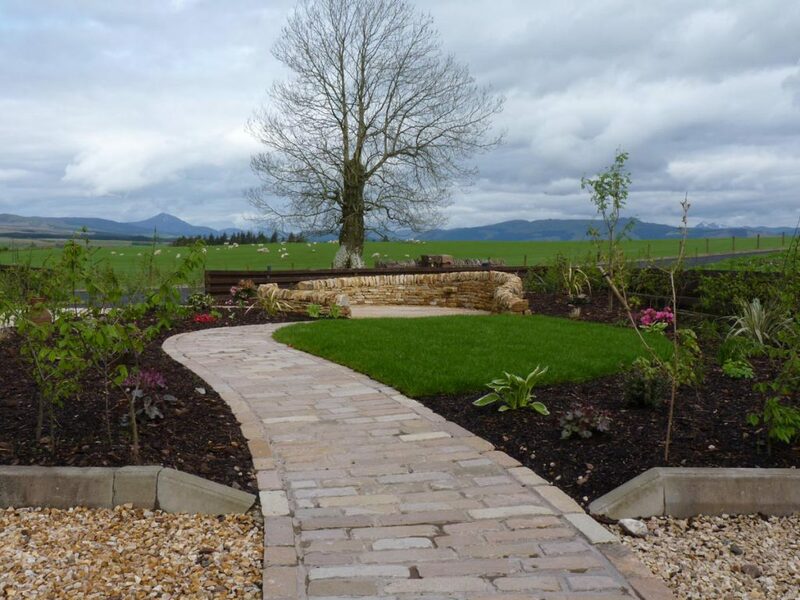 A new, meandering path built using sandstone setts was created to encourage a journey down into the garden and to link the house with the garden. 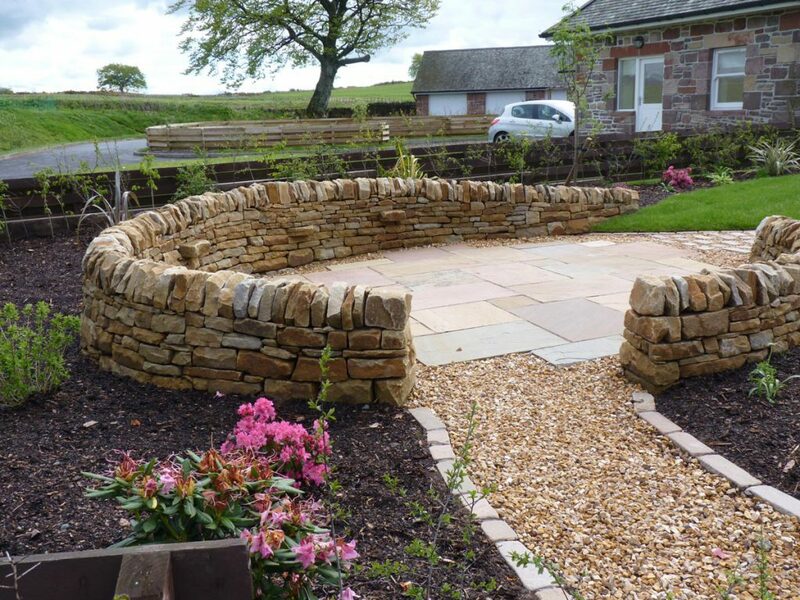 A new sandstone patio creates plenty of space for relaxing and is surrounded by a dry stone wall providing shelter whilst tying in with the neighbouring countryside. 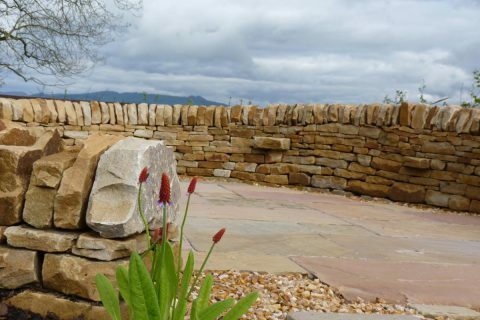 Little touches such as the stones jutting out for a place to set drinks adds to the enjoyment. 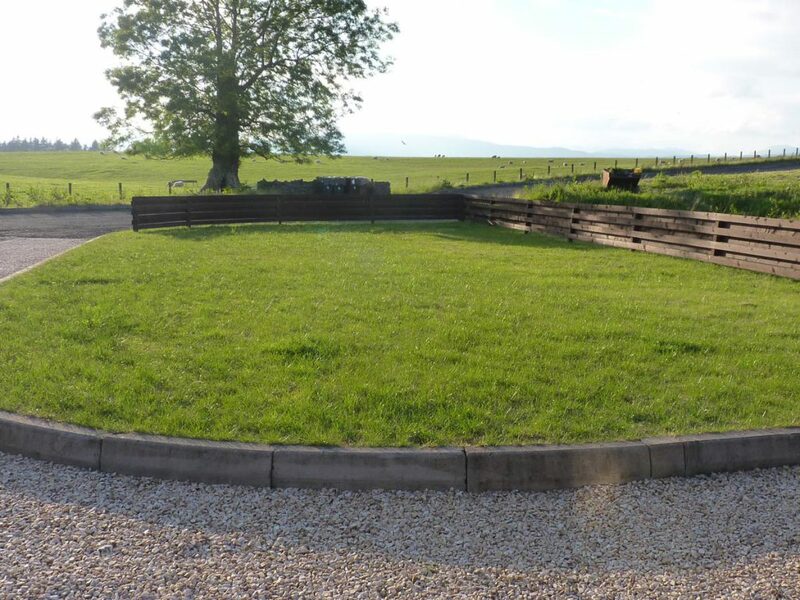 A new lawn was laid providing some softness, a place for grandchildren to play as well as tying in with the fields beyond. 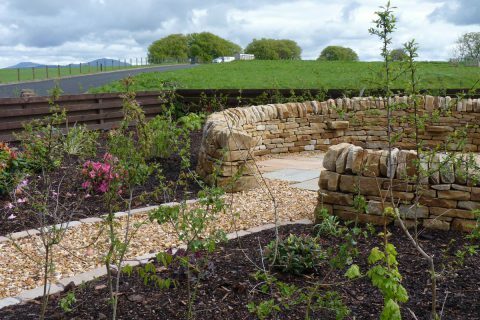 The existing fences were softened with new, native hedging, again mirroring the landscape beyond. 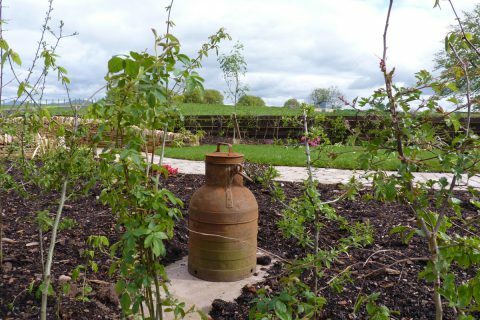 Planting is a mix of low maintenance plants such as skimmia, azalea, viburnum, daphne and photinia with some herbacous such as astrantia, euphorbia, eryngium, primula vialii, chives and hosta. Choose a value and we'll create a gift voucher for you to give to your loved one. 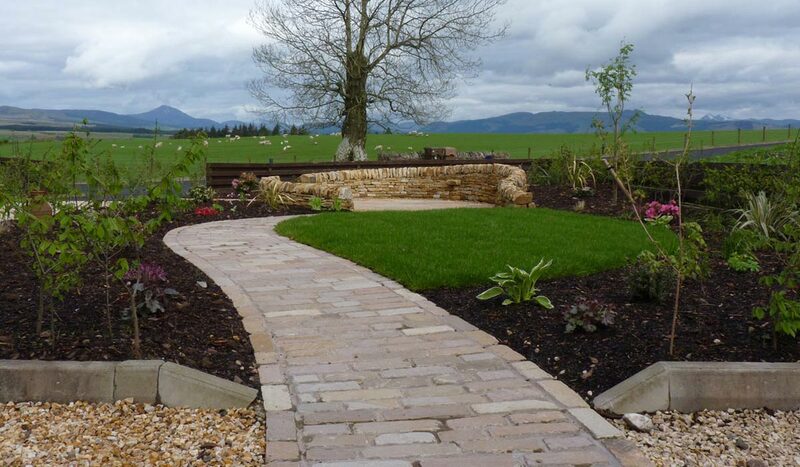 Visit our Vialii Garden Services website to find out about our wide range of garden maintenance services. "The man who has planted a garden feels that he has done something for the good of the world." We believe strongly in good quality, reliable service and strive to keep all our clients happy. 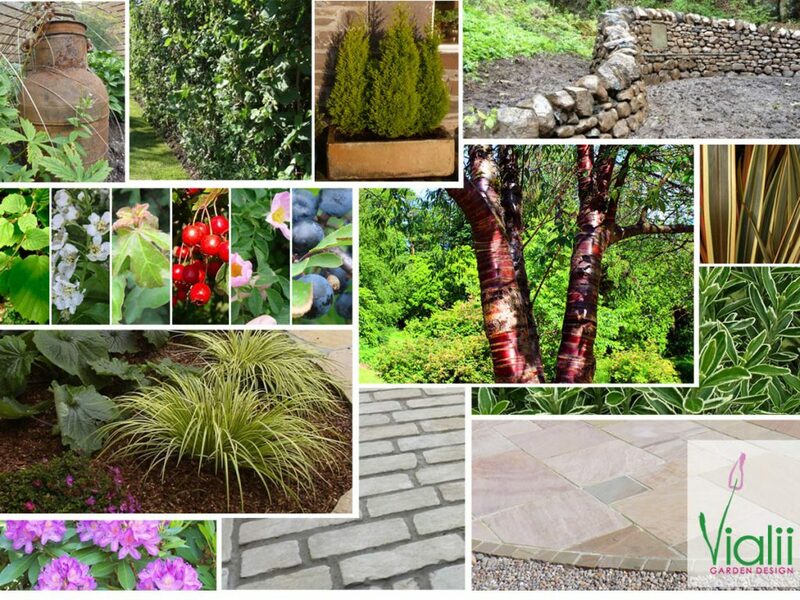 To this end Vialii has signed up to the Voluntary Landscape & Garden Charter. To read more about our commitment to good service and the charter click here. 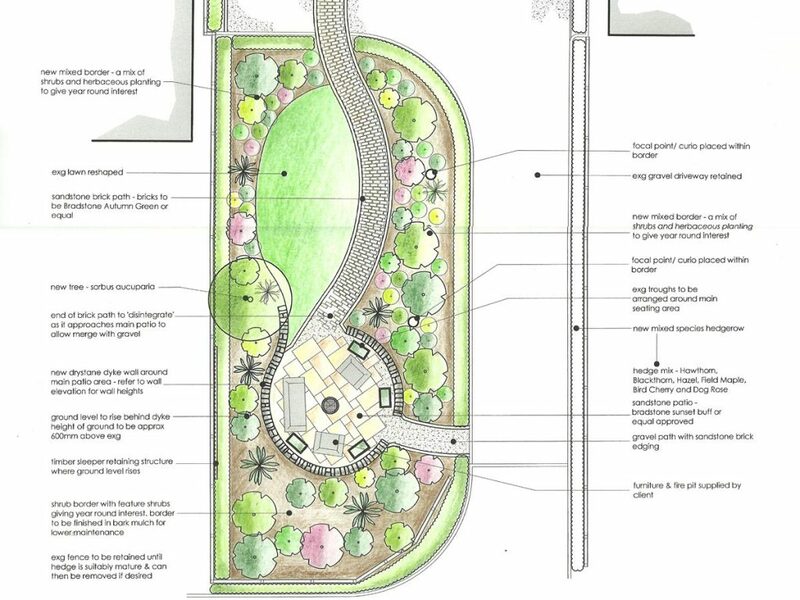 Vialii Garden Design Limited © 2019 | All rights reserved.